Enjoy the benefits of the the Oceans of the world, get connected to with the healing essence of sea water, kelp, seaweeds, and feel your hands and arms come alive, as if you were swimming in warm tropical waters in a beautiful paradise retreat. We start with a nourishing fresh seaweed hand soak, followed by a complete Harmony Manicure. Then a light sea salt glow is applied to exfoliate, followed by a retexturizing peeling cream containing chamomile, and paraffins, sloughing away dead skin cells and revealing younger heallthy, looking skin. Enjoy the softening properties of this luxurious soak, milk moisturizes and exfoliates, while honey with natural humectants which attracts and retains moisturize and antiseptic and anti-bacteriostatic properties and an anti irritant, soothes and tones. Includes Natural Aromatherapy Manicure! First We Start with our Signature Aromatherapy Spa manicure, followed by a special Cleansing Carnation bath, enjoy the experience of seven fresh white carnation flowers to cleanse and increase the energy field around the body, these petals are used to scrub the hands and arms, leaving a fresh floral scent, and an invigorating feeling of wellness. Includes Natural Aromatherapy Spa Manicure! 24-hour advance needed for this service. Enjoy a luxurious foot soak in our giant pedicure hand chairs, with gentle aqua massage jets for your feet to provide a true taking the waters. You will be endulged with our all natural homeade foot soak. 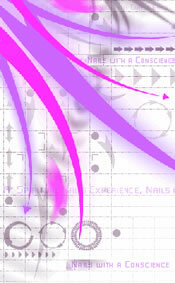 Receive a full pedciure, cut, file the nails, trim the cuticle, buff file polish. We then apply an all natural smoothing cream with botanicals to soothe tired feet and legs and hydrate. We then apply a cooling toner to revive deyhydrated skiin and restore your natural ph. Get ready for a repeat of all this good for your hands. Enjoy the scents and therapeutic benefits of fresh citrus, with this invigorating treatment for your hands, arms and entire spirit. We start with a moisturizing and cleansing citrus soak, with fresh lemon and lime essential oils and fruit (when available), and follow with a complete harmony manicure, cutting and filing the natural nail or enhancement as needed, cuticle maintenance, buffing to a smooth finish. Gentle exfoliating crystals with citric acid and anti-oxidants are applied to the hand and arm, stimulating circulation and removing dead skin cells. A Crystal Activating Cream Serum is then applied allowing the A.H.A. 's (alpha-hydroxy acids), and vitamin E, to penetrate the skin. A Hot towel pack is applied for deep penetration. Followed by a nourishing facial quality moisturizer rich in ceramides, which defends against aging and restores elasticity to the skin. Choice of polish is applied or the nail left natural. You will first receive a full Spa Manicure. Seven Special Chakra Gemstones are energized with a special custom treatment. Our technician will ask you what area you feel needs to be worked on in your spiritual, mental, physical body, or all three. Your hands will soak with these special energized gemstones, then they will be used to balance and energize your body energy system through using special movements on your hands and arms to stimulate the body energy in the right direction for maximum health and wellness. You will finish with polish and receive a free gemstone and affirmation to take home.